Part six in Maximilian's "WEEK OF!" Super Street Fighter IV: Arcade Edition 2012 is here. Watch inside as he takes up another round of online matches. The "WEEK OF!" 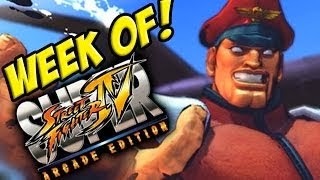 Super Street Fighter IV: Arcade Edition 2012 rolls along. Above is the sixth part in Maximilian's series. For the first five parts, click here, here, here and here.